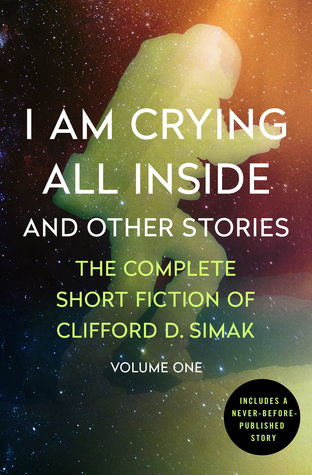 "I Had No Head and My Eyes Were Floating Way Up In the Air" appeared in I Am Crying All Inside and Other Stories: The Complete Short Fiction of Clifford D. Simak, Volume One, by Clifford D. Simak, published June 4, 2015 by Open Road Media Sci-Fi & Fantasy. Pro: The new body sounds interesting, and I liked the account of how Charlie slowly figured things out. Con: There's not a real story here. Charlie doesn't do anything--just thinks about it--and the ending where we get the alien perspective makes it seem as though we've been following the wrong protagonist.